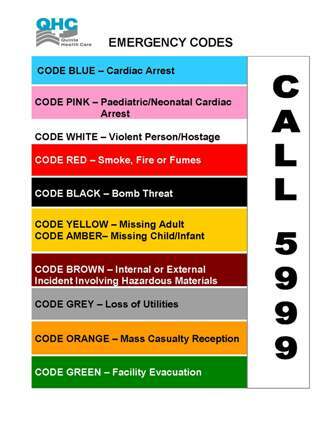 Emergency codes are used to identify and notify the most appropriate individuals of an event that requires an immediate response and action. 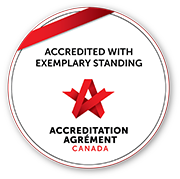 QHC uses standardized Emergency Codes including a colour coded system which is set by the Ontario Hospital Association. How are Emergency Codes Activated? Any emergency code is activated by calling the hospital Switchboard at (613) 969-7400, ext. 5999. If you notice an emergency, you can dial 5999 from any internal hospital phone. State your name, location and the emergency you have identified. For further detail about each code, please see sidebar to the left and click on the code you would like to learn more about.